Generously seasoned with various spices including garlic, onion and paprika, these smoked peanuts are a big hit at any party. 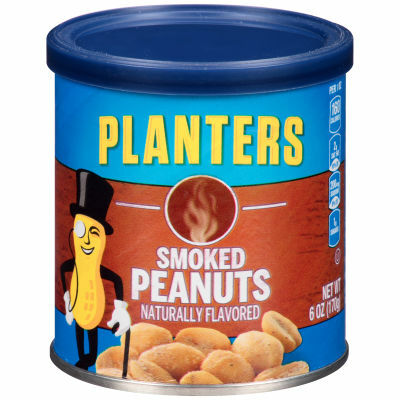 Natural hickory smoke flavor gives these peanuts a taste to savor. these smoked peanuts pack a punch both in flavor and nutritional value. Available in a 6 oz. resealable canister to maintain freshness and prevent spills, these peanuts can be enjoyed time and time again. Serving size 1 oz (28g/about 39 pieces).